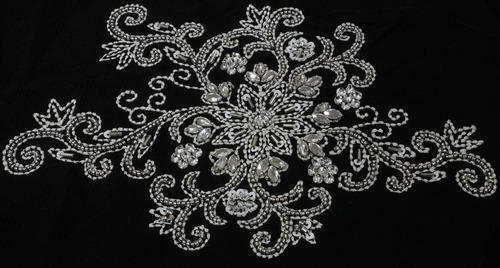 With the help of our team of deft personnel, we are one of the leading providers of Attractive Embroidered Fabric. In tandem with the set industry guidelines, the provided fabric is woven by talented personnel using contemporary machines and tools. To preserve the quality, this product is sternly reviewed by the quality personnel on different quality restrictions. Clients can acquire from us an exclusive collection of this fabric at market leading rates.